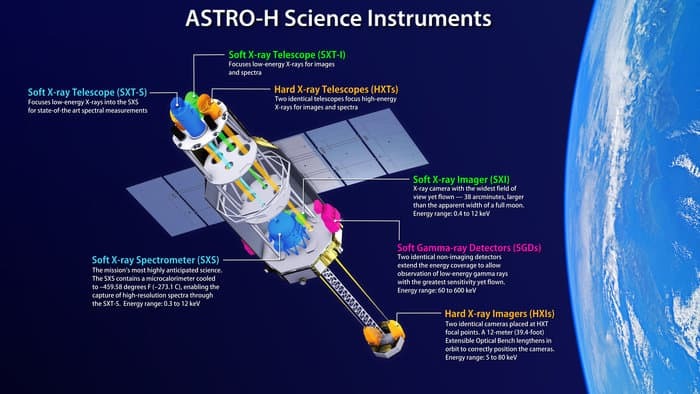 The Japan Aerospace Exploration Agency (JAXA), in collaboration with SLAC and Mitsubishi Ltd. have launched the ASTRO-H high precise satellite to investigate high energy cataclysmic events in the universe. Named as “Hitomi”, the instrument is specifically designed to identify X-rays from potential sources including hot gas in galaxy clusters, particle streams being ejected from a black hole and remnants of supernova explosions with rapidly rotating dense neutron stars at their centre. Owing to the X-Ray astronomy field, X-ray satellites have been developed by an international team consisting of members from the Kavli Institute for Particle Astrophysics and Cosmology (KIPAC), JAXA and NASA. In this mega project, the team emphasized on detecting the resultant side product i.e. 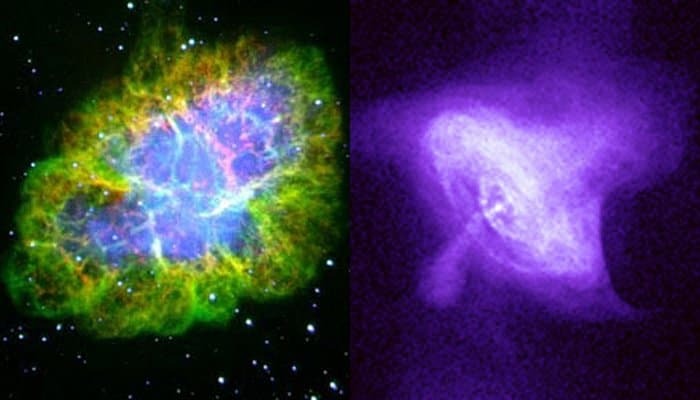 X-Ray radiation from massive outer-space explosions. Unlike the visible spectrum, X-rays have the suitable penetration power to photograph dense clouds of dusts. Also, chemicals react with X-rays and leave a significant footprint on it. By carefully surveying the captured signals, scientists plan to comprehend the violent environment. Judging all the aforementioned aspects, scientists will indirectly get information about the flow nature of the surrounding gas in galaxy clusters. Meaning “eye”, Hitomi will also uncover the mystery of hot gas in the vicinity of Black holes. Scientists believe that the elemental characteristics near a Black hole is very different from other sections of the universe. This may also help in uncovering the fascinating concept of dark matter by testing the emanating X-ray signal with an energy of approximately 3.5 kiloelectronvolts. Many of the research aspects is based on the Soft X-ray Spectrometer (SXS) which is placed at the core of the satellite. SXS consists of three other instruments: The Soft X-ray Imager (SXI) and the Hard X-ray Imager (HXI) that will photograph low and high energy sources respectively. Also, a Soft Gamma-ray Detector (SGD) is embedded in the body to detect higher energy X-rays. KIPAC’s Grzegorz Madejski explained that with such sophisticated instruments, astronomy and cosmology will reach new heights.